The author of Fruit of the Drunken Tree illuminates how the real and imagined create truth together. I began to write Fruit of the Drunken Tree during a Chicago winter. It was snowing outside, and all my friends had left for the holidays. I had nowhere in the United States to go, and I couldn’t travel overseas to visit my family because I was in between visas. My longing to be in Colombia was so profound, I opened my laptop and began to write. I wrote about mountains and fog, paved roads and skyscrapers, the moor of Suba—and then a different story appeared. My fiction always begins from an autobiographical jumping point. In writing the first words, I feel but a hair space between one life and another, between mine and the invented one, but the more words I put down, the more the gap widens, and I know that very soon I will have to work to get into my characters’ minds. Fruit of the Drunken Tree, my first novel, is based on real events that took place when I was about 12. Friends always want to know which tidbits are real, and which made up. They have theories about moments that are so specific and so bizarre they must be true, but they’re always made up. 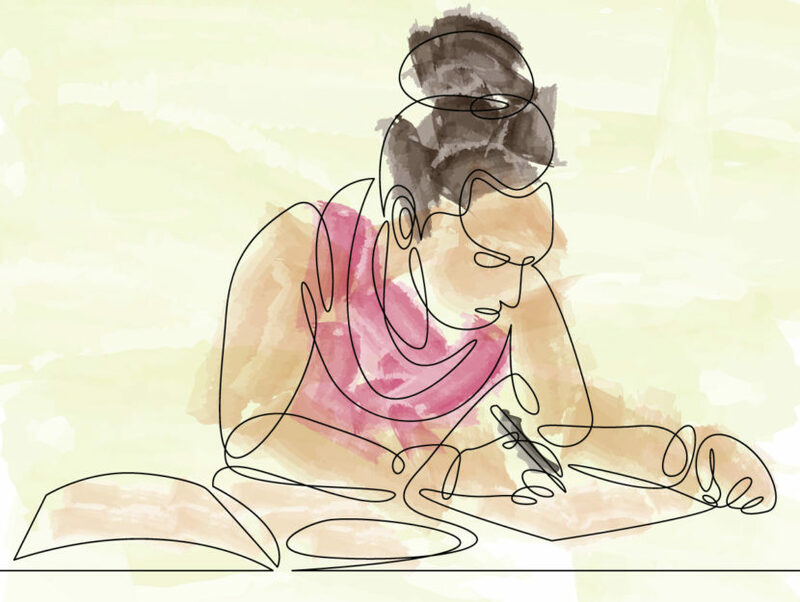 Readers want to catalogue each moment that struck them as real. Did I as a girl play at hiding in the trunk of a car? Did I ever moo at a cow? Did I ever have the habit of counting out someone’s syllables as they spoke? Did I ever play with dismembered Barbies and pretend they were war veterans and victims? The interaction of the real and the imagined is never confusing for the writer, but it’s always confusing for the reader. Writing is a personal laboratory where fleeting impressions, memory, and wordplay serve as burning fuel. When stories no longer burn on their own, I feed them. I dole out personal fears, snippets of nightmares, and overheard conversations to the story. The best time for a writer, though, is when the story emits a flame of its own, and all you have to do is observe and stoke it. That night in Chicago, I started with a real story. There was a girl I knew in Colombia who my mother employed in our house as a nanny and maid. She was 14 or 15 years old, and her family had been displaced by the civil conflict. After a few years in my mother’s employment, the girl was threatened into acting on behalf of a guerrilla group against my family. This was a story that had haunted me, but in front of the screen I didn’t shy away. Words grew into sentences, and slowly the real edges of my house, of that girl and my family, were obscured and then left behind. I wasn’t even sure what my fictional character wanted, or what she thought about, but I wrote into the mystery. By leaving the real aspects behind and going forward with a fiction, I was free like I had never felt before. There were no stakes. I could offend no one. I was not telling the truth, but for the first time in years, I could write the truest thing—the emotional underpinnings of what had taken place. The main character in Fruit of the Drunken Tree started as an approximation of myself. The members of her household also started with real-life counterparts. Some writers may cringe at this transparent borrowing from life, but I am not so precious. Writers often go through great pains to disguise the real source of their inspiration so the map of their creation will never be discovered, but I don’t see the point. I became so vexed with Papi, I finally threatened him: “If you ask again, he will definitely not make it.” That Christmas, my sister bought me a mug that said Please do not annoy the writer, she may put you in a book and kill you. It may sound odd, but to write fiction is to observe. I sit before my screen and in the space that intersects with seeing, language, and thought, I hear and follow my characters around. I read their bodies for signals that might tell me how they feel and what they might do. I look for hints that may betray their ulterior motives. Sometimes I guess wrong, and it’s obvious. Then, I have to erase all the lines. I go back. I watch again. Despite it being fiction, it has to feel true. INGRID ROJAS CONTRERAS was born and raised in Bogotá, Colombia. Her essays and short stories have appeared in the Los Angeles Review of Books, Electric Literature, Guernica, and Huffington Post, among others. 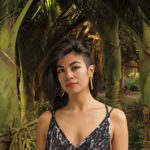 She has received fellowships and awards from The Missouri Review, Bread Loaf Writer’s Conference, VONA, Hedgebrook, The Camargo Foundation, Djerassi Resident Artists Program, and the National Association of Latino Arts and Cultures. She is the book columnist for KQED Arts, the Bay Area’s NPR affiliate.